weather. 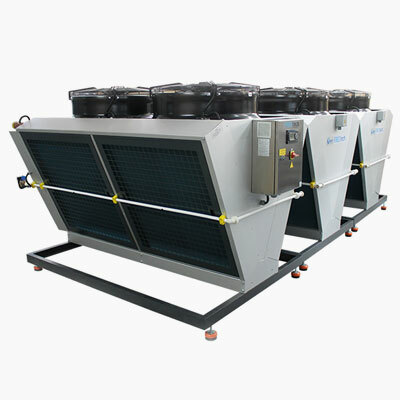 Via evaporation cooling fins located in front of the exchanger surface, the moisture level of the intake air saturated and air temperature is decreased below the ambient temperature. Axial fans, with external motor with thermal protection. 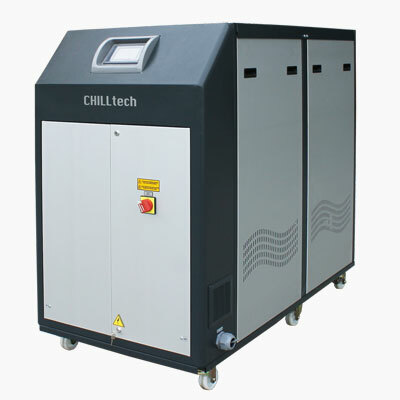 The NovaTech chillers are an optimal supplement to the existing range of temperature control solutions provided by Geiger Handling with cooling capacities of 2 Kcal/h to 540 Kcal/h. 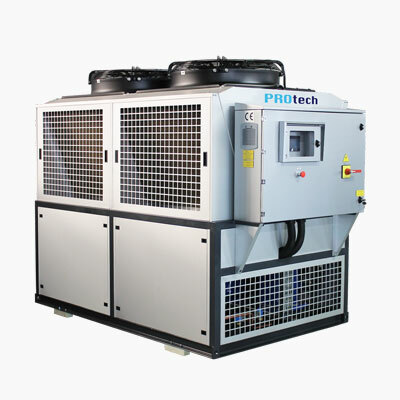 Robust and powerful centrifugal pumps and stainless steel, insulated water tanks ensure they are highly reliable. 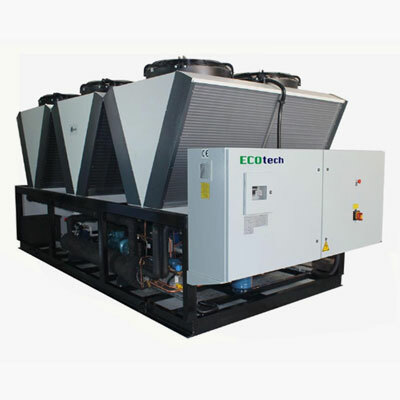 Highly efficient shell&tube type evaporator.